You must make reservations at least 5 minutes in advance of the time at St. Francis Winery & Vineyards. Call us to discuss your next private event! Pairings and wine were excellent with a top notch chef. A must do if you are in Sonoma! 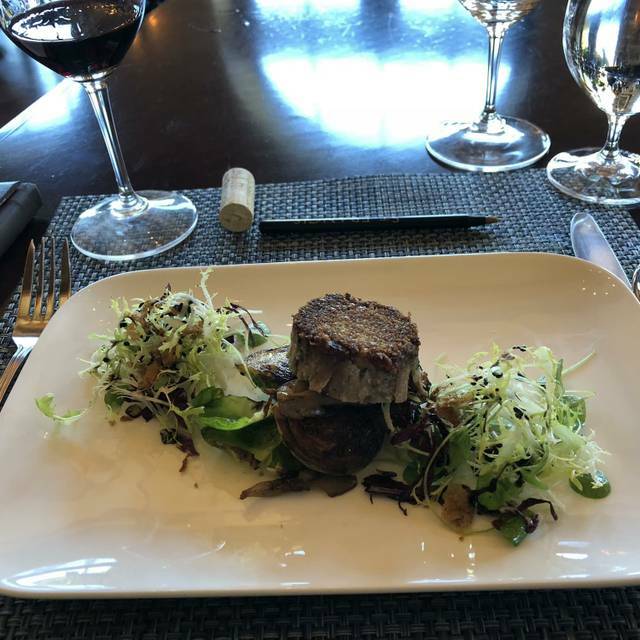 We are wine club members and love the wine, but the food and wine pairing was not as good as before, especially for the cost. Kendal Jacksons experience was much better, larger portions, cheff came out and talkes with us a lot and the food was delicious. Food and wine tasting was incredible. Beautiful setting, friendly host,great food. Highly recommend this food and wine pairing, loved everything about the experience. Wine is selected to go with the food and it Is Exquisite! I have been here multiple times with friends from across the world. Nobody leaves this food and wine pairing without being very impressed. The pairing have been rates the best in the United States four years running. St. Francis starts with their own award winning wines and builds food around the wine flavor profiles. This is the opposite of many pairings that start with the food flavor profile and seek out compatible wines for pairing. The result is a very finely tuned match of wine to food that will surely impress everyone -- from newcomer to committed foodie. Multiple wines and Tapas sized plates are presented to groups of approximately 20 in a banquet room with two server hosts. The Chef will join you at the end of the tasting to discuss the pairing and answer any questions. Reservations should be made at least a few weeks in advance. It is very rare for any seats to be available for those who walk or call in for same-day seating. This was our first time at St. Francis and it was a wonderful experience. Food was so delicious, wine was great. Would highly recommend it. Excellent food. Great wine. Small and intimate dining. Service is great and met the chef at the end. However I personally would love to have a bit more time between each course to savor the flavor and wine. We had 3 pm slot and it was perfect. Walk around a bit afterward with less crowd. Would definitely put it on the must do list. Outstanding food and wine experience. It was the highlight of our recent trip to wine country. Quite enjoyed the communal setting, surprisingly. Met some charming folks and of course the pairings were lovely. We had such a fun time at our wine and food pairing tasting! All the courses were delicious and it was a great touch that the chef came out and chatted with us at the end. Couldn’t have asked for better food or service. Highly recommend! Wine and food pairing is a must at st Francis. The new chef Trevor Eliason was awesome. We are still talking about his food pairings. Absolutely top notch. Very impressed with the current chef. Each dish was interesting, complex and delicious and carefully paired. 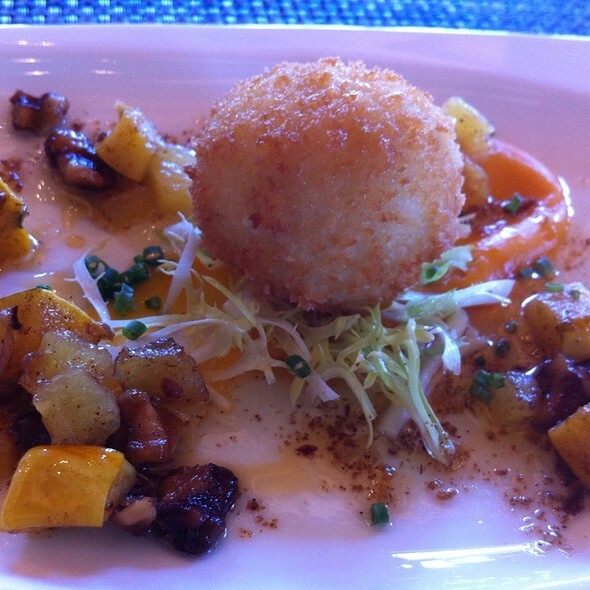 This was our second food and wine adventure at St. Francis, first time with their new chef. In a word, it was FABULOUS! Each of the 5 courses was designed around the selected wine for that course, not the other way around. The menu was inventive, fresh and beautifully presented. The wines were also delicious. 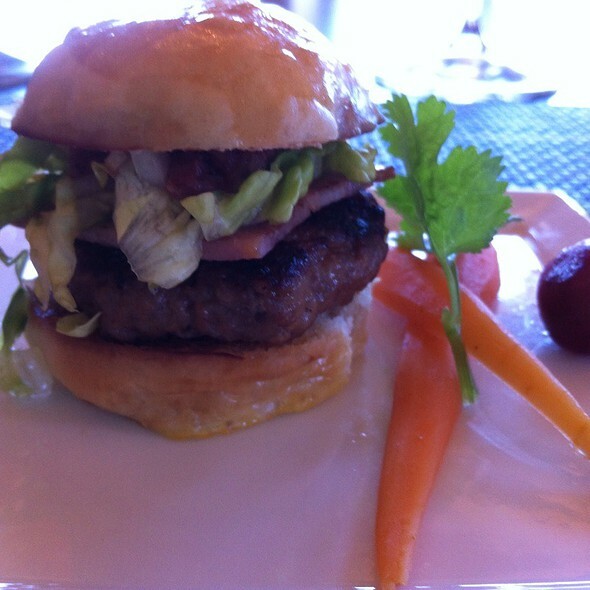 Reservations are required and they are closed Tues/Wednesdays but this is a highlight to any wine country experience. The food pairings are delicious and creative. Reservations can be hard to get, so book early. We went to the Food and Wine pairing. Such a nice experience - the food was delicious and the wines were nicely paired. We went with another couple and will go back! If you join their wine club, you get a new one of these each year. Hands down the best meal and dining experience we had all week long. I would seriously consider coming back and eating here every day for their food and wine paring. 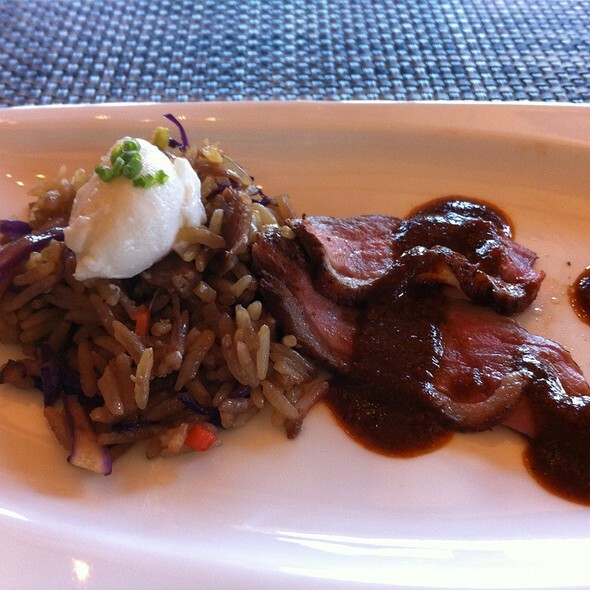 The food was masterfully crafted and went incredibly well with the wine choices. The chef is at the top of his game! Great wine, with amazing food paired with it! I can't recommend this highly enough! 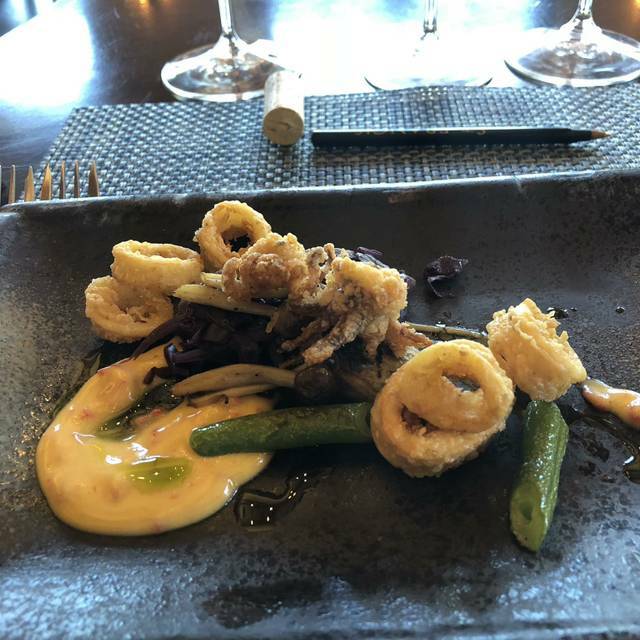 As a resident of Sonoma County, I can honestly say that one of the best things anyone can do when visiting the area is to schedule the wine and food pairing at St. Francis Winery! Their wines are ALL fabulous, and the thought that goes into deciding on a food pairing menu is always spot on! They start with the wine, rather than the food, and thus after a sip of wine that you don't think can get any better, you taste the food and sip again and viola! perfection! In addition to a great wine and food pairing, the winery itself is beautiful with it's location against the Sonoma hills and vineyards. Even if you just stop by for a tasting without food, it's worth the visit. Finally, a huge shout out to the host of the wine and food pairing! Andrea is always warm and friendly, with loads of knowledge about the wines, the food and the winery itself. She never rushes you and totally adds to the overall experience. Don't miss it, but make sure to make a reservation! This high-value Sonoma treat is very popular and always books up fast! It was a lovely experience. The food and the wines were paired with excellence and the staff did a wonderful job of presenting the wine and the winery. Will be back. Thank you. Wine and Food pairing was amazing!! This was an amazing experience for my wife and I. The food and wine pairing was incredible and I will most certainly go back next time I visit Napa! 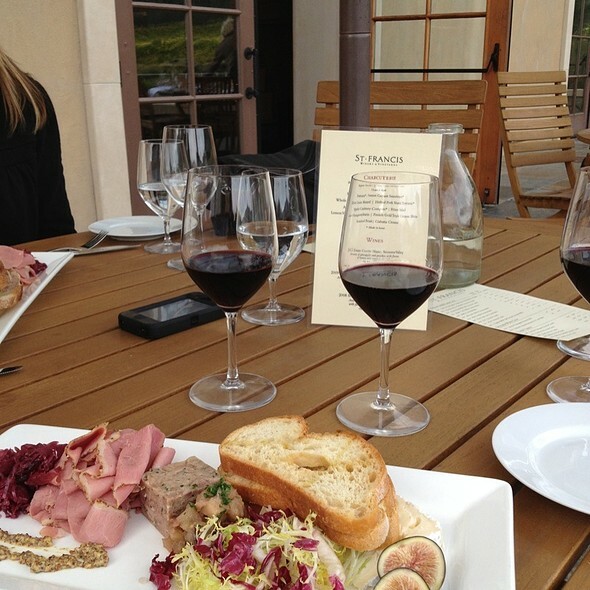 One of the must-do experiences of Sonoma Valley. We've been several times--this time for my husband's birthday, because this is such a special occasion thing to do. Unusual food choices and wine pairings that just make everything taste better. It was exquisite!! Excellent food paired with delicious wines. I'd always heard that this was the best wine & food pairing in Sonoma County. As a local, we don't go out to wineries as often as we did when we were visitors. I have to say, this was a first class experience. Fun, approachable, exquisite food & wine pairings. Can't wait to do it again- we're going to book up for the evening dinner experience next! Wine pairing lunch was spectacular! Worth every dollars! Staff knowledgeable, friendly and engaging. They pulled the experience together based on their knowledge. Service was so smooth and gracious. The food, ah the food, I could eat that every day. Amazing food and wine pairing for a great value. Highly recommended! Wine and food pairing was a treat, as always. Fun to share a meal with new acquaintances and enjoy wonderful wines with beautifully served delicious dishes. Unlike other pairings, we came away feeling like we’d had a great 5 course meal. Our hosts were delightful and informative. 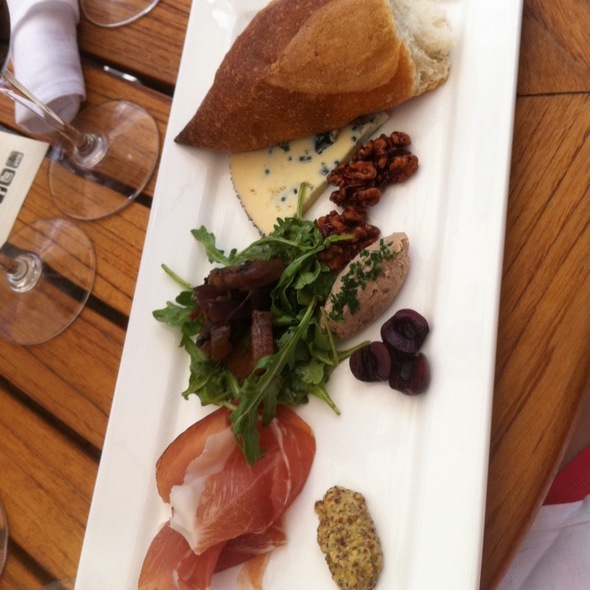 This wine and food pairing is one of our favorite winery experiences! Feels so special and exclusive. So much attention to detail in the pairings! Food and wine fantastic. Wonderful wine, delicious food, in a lovely setting. Truly a treat! Ambiance, setting, view, food, wine: all outstanding. The reason it didn't get 5 stars overall is the time frame is cramped. It really needs to be 3 hours to be properly enjoyed but they cram it into a 2 hour slot. We chose the 3:00 seating to help with that, but they started late and didn't take the hint that we weren't ready to move on to the next course until we'd all finished the current one. Also one group arrived late and although we were just in the first course they made them skip it. This is one of the best experiences you can have in the Wine Country. 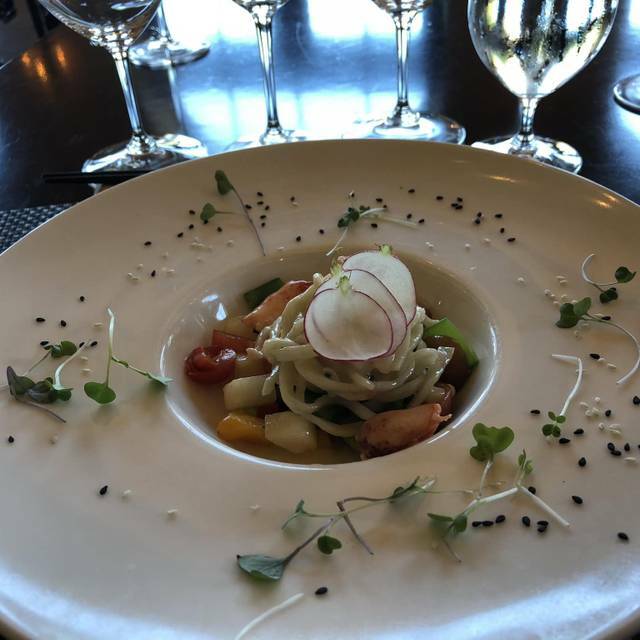 Our 2019 visit to St. Francis was our seventh annual wine & food pairing at the winery and our first under new chef Trevor Eliason. As in previous years, the setting was spectacular with striking vineyard views from the elegant dining room seating 15 to 20 guests. The five courses of small plates created by Chef Eliason were delicious and imaginative -- and, we felt, even heartier than in the past. And the pairing of each course with St. Francis' excellent wines was most complementary and instructive with the characteristics of each wine and dish reinforcing one another. Insightful remarks from the knowledgeable staff pointed out the gastronomic synergies and contrasts at play. We personally look forward to returning each year. And it makes a terrific treat for any relatives or friends who may be visiting you in the Sonoma Valley area. 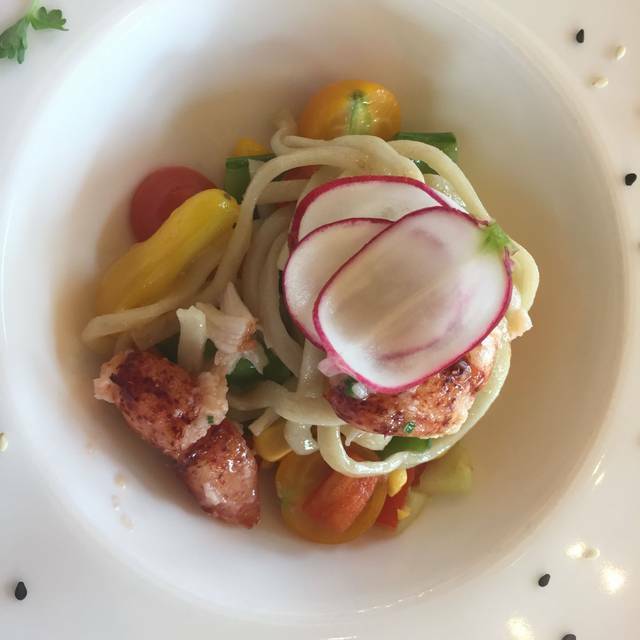 If you enjoy learning about food and wine pairing or just the experience of fine dining with selections from an outstanding winery and culinary team in a magnificent setting this is something not to be missed. I’ve been though the program several times and it’s a home run every time. Thanks to the team at St Francis for another wonderful event! The food was outstanding. The wine was ok but the highlight to me was the food. That then gets to the value at $85 pp I believe we had an introductory pour and then 5 more pours so it was somewhat reasonable. I just wish the wines were more memorable. Very creative dishes paired perfectly with their excellent featured wines. Our 4th time, we do this every winter. This time food was very meat oriented, my wife did like the food previous times better. Wine was superior, ended buying 6 mixed bottles. Will be back next winter. The food and wine pairing was so delicious, beautiful, the wine paired with the food was perfect! We had dietary restrictions and the far exceeded our expectations in how well they accommodated us. I highly recommend their food and wine! Wonderful pairing with fabulous wines! Foods and menu changes with the seasons and the wines...really special! This was a delightful lunch. We look forward to returning!